Welcome to Music Friday when we often bring you golden oldies with jewelry, gemstones or precious metals in the title or lyrics. Today, we climb into our Wayback Machine and transport ourselves 60 years into the past, where a 17-year-old Ray Stevens has just signed a deal with Capitol Records' subsidiary, Prep Records. For his first single, the teenager releases "Silver Bracelet," which tells the story of a simple, yet significant, piece of jewelry that symbolizes his devotion to his new girlfriend. Penned by Stevens, the song is an adorable look at love from the young man's point of view. He sings, "A silver bracelet / My silver bracelet / This simple token I do give / A silver bracelet / My silver bracelet / To show my love will ever live." He goes on to describe how he had his girlfriend's name engraved on the front and his on the back: "Turn it over there is mine / Forever let it shine." Stevens wrote about the origin of "Silver Bracelet" on his official website. His family had moved to Atlanta in 1956, and while still in high school, Stevens (then Ray Ragsdale) got his first big break when he met radio personality and Georgia Tech football broadcaster, Bill Lowery. "He was looking for talent to write songs," he wrote. "I went out to his house and I said, ‘My name is Ray Ragsdale and I’m going to learn to write songs for you.’ He said, ‘Okay lad, go to it.’"
The success of "Silver Bracelet" helped launch a stellar career that has seen the artist release more than 40 studio albums and 93 singles. His two most popular tunes were "The Streak" (1974), a novelty song about streaking, and "Everything Is Beautiful," a 1971 Grammy winner for Song of the Year. Born in Clarksdale, Ga., in 1939, Stevens started piano lessons at the age of six. His mom insisted he practice at least an hour each day. At 15, he sang and played piano in a band, the Barons, and they performed all over the area for the American Legion, the Elks and private parties. 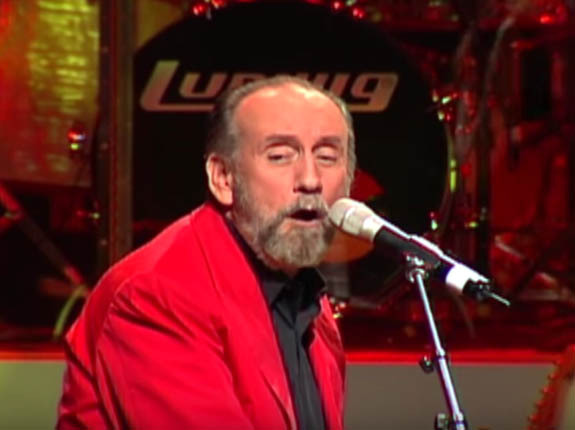 Written and performed by Ray Stevens.